To inquire about savings and promotions, please contact us! Email us or contact our sales managers directly by territory. siteFLIGHT. You fly. We buy. Greater Palm Springs is ready to show you our beautiful destination—on us! 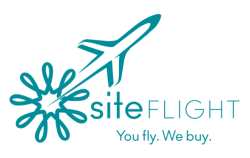 * siteFlight is a program that allows our valued meeting planners to visit, see and experience all that our nine resort cities have to offer, including round-trip air and accommodations. Schedule a site inspection with one of our experienced CVB professionals and we will pay your airfare, as well as lead you through a guided series of unique activities, accommodations, and amenities that will best match your group’s needs. You do the flying. We do the buying. *Restrictions may apply; this offer is based on availability and subject to change. We know our magical setting is ideal for the drive market, so pay us a visit and we’ll show you just why your event attendees will love attending a meeting in the Oasis. Our seasoned CVB sales professionals will guide you to the best of what Greater Palm Springs has to offer. To inquire about either promotion, please contact Rob Osterberg, Director of Sales, at rosterberg@palmspringsoasis.com or 760-969-1305. On a budget? With the Midweek Meetings promotion, the Greater Palm Springs Convention Sales team can help you find the right space at the right price. In response to the hotel community’s desire to drive more midweek group business, the Convention Sales team developed the “Midweek Group Campaign,” which provides deep savings to planners who have the ability to book meetings Sunday through Thursday. All rates are supplied individually by hotel partners and offers vary from season to season, but planners can realize savings of up to $100 per room and receive discounts on meeting space and catering. Some properties even offer reduced rates on extras such as audio visual and even spa treatments. Because of the flexible nature of these offers, meeting professionals are encouraged to speak directly with a member of the Greater Palm Springs CVB Convention Sales team to find a venue that works for them.